Our Compost Turner Aerator mixes compost without the use of a shovel or heavy lifting. 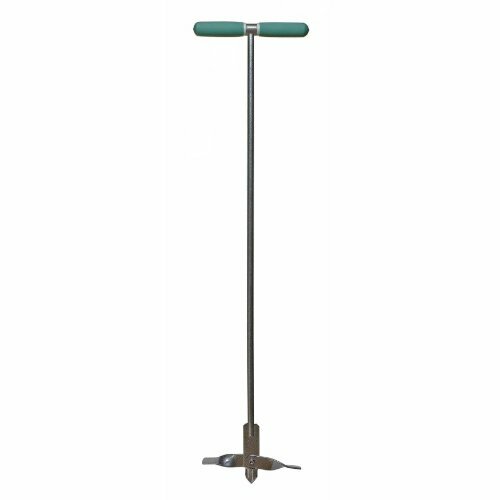 Helps aerate and circulate compost, introducing oxygen needed for microbes and promoting faster decomposition. Folding wings harpoon into the heart of the compost pile, opening when withdrawn. Extra durable, all steel construction. Operation is simple. Thrust the aerator directly into the center of your compost pile and as you pull up, the folding wings will open and turn the compost. Repeat until your compost is thoroughly mixed. Yard Butler guarantees all Yard Butler tools for life against any defects in manufacturing or materials.